It is confirmed that Arnel Pineda not Charice Pempengco who will sing the Philippine National Anthem in the Pacquiao VS. Clottey bout. 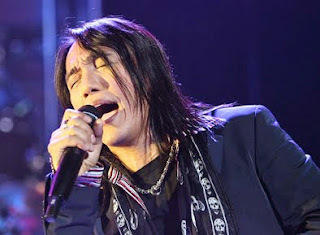 Arnel Pineda, the Filipino front man of popular American rock band "Journey," will sing the Philippine National Anthem in the Pacquiao VS. Clottey bout on March 13 at the Cowboy Stadium in Dallas, Texas. Pineda confirmed that he was invited by Pacquiao to sing "Lupang Hinirang" in his upcoming fight. "Pupunta ako sa Dallas to sing sa laban ni Manny." "I'm really happy kasi matutuloy na. Nahihiya na ako kay Manny kasi pangatlong invitation na ito sa akin. Baka kasi isipin ay iniisnab ko. So finally, matutuloy na."